No matter what type of pavers you’re looking to add to your Greenville property, we are here to create the perfect paved surface. 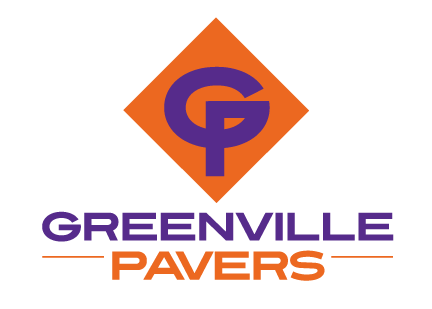 Pavers in Greenville – When you’re looking for a trusted professional to install pavers at your home or office in the Greenville, South Carolina area, finding the right company isn’t always easy. There are a number of businesses that promise fast results at low prices, but many aren’t qualified to handle the work. At Greenville Pavers, we specialize in the installation and maintenance of pavers for customers throughout the Greenville area. We have a variety of paving options available, so you can choose the material that works best with your property’s look and feel. Our team of skilled professionals has over 75 years of experience in the industry, so you can feel confident when we are at your property to install pavers. Some of the paving options we provide include patio paving, concrete paving, and driveway paving. Adding a sleek paved patio is a nice way to complete your outdoor space, giving you a place to enjoy the pleasant weather that we have here in South Carolina during much of the year. Our concrete pavers are available in a number of finishes, including stamping, engraving, and staining, so you don’t have to stick with a basic surface that looks similar to the other paved areas on your block. Adding a paved driveway instantly adds value to your property and gives you a smooth and even surface on which you can park and drive your car. No matter what type of pavers you’re looking to add to your property, our team at Greenville Pavers is here to create the perfect paved surface. Contact us today to learn more!